LEE MORRIS: TERRIBLE AT MAKING BABIESThe winner of last week's Easter egg caption giveaway was: Patrick Hall for his, "The Higgs boson, also known as the 'god particle', was recently found....in this guys pants". But then someone told me, Patrick works for Fstoppers, at which time I promptly disqualified the cheeky bugger and awarded the prize to the commenter just above Patrick. So, congratulations to Jonathan Goldberg for his: "Lee Morris: Good at taking pictures, terrible at making babies." Just goes to show you, position is everything. Write in to collect your booty, Jonathan. YOU TOO CAN MAKE MOVING PHOTOSNo no, I'm not talking about emotionally charged pictures that tug at one's sympathetic or empathetic strings. I'm referring to cinemagraphs. The combination of photo and video to make a more refined version of an animate gif. The end result can be very appealing and I'm certain a lot of our readers are going to want to give this a try. To see what a successful pairing looks like, check out a sample by Jamie Beck. If that's enough to tempt you to try this technique here is a tutorial by FernandoJBaez.com and another helpful page by AnAestheticDiscourse.com. If that's not enough to tempt you, peruse Jamie's From Me To You blog, for more cinemagraphs. We here at Fstoppers would love to see what you come up with. Start a Forum topic with your results. SUPER EASY MACRO LIGHTINGSometimes I can be a bit of a gear snob, shying away from do-it-yourself equipment but this little trick for lighting macro subjects just seemed... nifty. Well, at least I thought so and maybe a few of you will too. Give it a try, just for fun, and as always we would love to see your results in our Forums. PREPARING PORTFOLIOSDo you know how many times I've applied for a campaign, exhibit, project or gig and had the client ask me for my resume after seeing my portfolio? Zero, ziltch, zip. Our portfolio is our resume. To help you prepare your "resume" here is an interesting post by Douglas Sonders about producing a professional looking print portfolio. 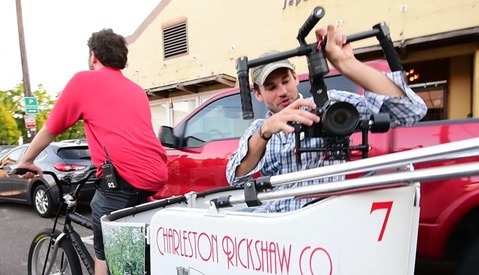 And if you crave more than that, watch Melissa's video on Presentation and Portfolios. CANON AND NIKON FIRMWARE UPDATESCanon's EOS 7D's latest firmware update has been released and you can download it here from Canon Rumors. What's that? You're still hanging in there with your Nikon? 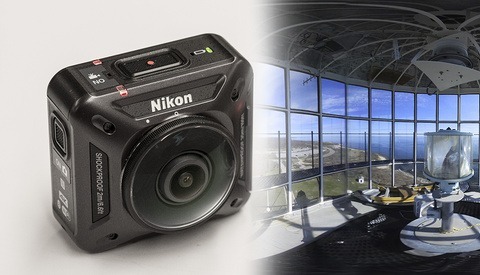 That's ok cause the Nikon D7000's latest firmware update can be found here on Nikon Rumors. Don't let it be said, that I play favorites, even though I do. WHO CARES ABOUT A ROYAL WEDDING?You know you're an Fstopper fan when, you're more interested in what's going on behind the scenes than the scene itself. Case in point, the Royal wedding of William and Kate. What would you rather see, the bride's dress or Phil Noble (of Reuters) and Kai Pfaffenbach's kits, each weighing in at a 110lbs? Ya, I thought so. That's why I took the liberty of choosing this link for you. FOURTEEN ACTORS ACTING I'm finding it increasingly hard to produce an issue of FS Weekly News without adding something that Alice (over at MyModernMet.com) had turned me on to. This week you can find a series of black and white portraits of iconic actors coupled with one minute video shorts. These videos are captivating in their simplicity. You must watch these videos over on the New York Time site. Then catch the whole story, with the photographs, in Alice's blog. Do you have a blog worth reading? If you think so then send me a link to your site and I may feature it in upcoming issues of FS Weekly News. A GOOD USE OF FACEBOOOKAfter tornadoes tore through the southern part of the the US, resulting in heavy deaths and damages, a conscientious (pbull35) set up a Facebook group to help return photos and other items found in the debris. It's an interesting use of social media and you may get a kick out of searching through the results. (Original post by Maggie Koerth-Baker on BoingBoing.net). iPhone Fashion Shoot, Pay's video addresses a lot of the negative comments Lee got, in the hopes of shushing some of the naysayers out there. Hats off to Pay and his crew as there is no greater complement than to have your peers back you up. If you missed last week's post, click the link below. UNDERSTANDING APERTURE IS EASYIt's short, it's sweet, it's every thing you need to know about aperture/f-stop by Zeke Kamm of Nice, Photography Magazine. Well, everything you need to know to get started anyhow. So, if you're just new to the scene and don't know what aperture is or how it works, this concise post will clear it up for you. 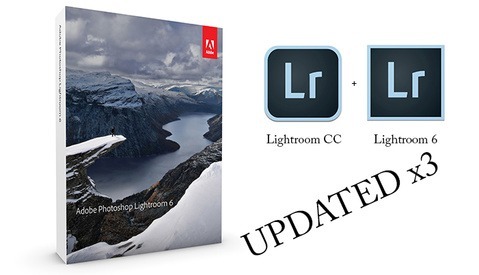 THE LATEST LIGHTROOM UPDATEOur friends at Resource Magazine always seem to be in the know and it's from them that I discovered that Adobe has released Photoshop Lightroom 3.4 and Camera Raw 6.4. These latest Adobe Updates provides RAW support for a mess of new cameras and lens, while resolving issues from customer feedback. Catch up with Resource's Mag. From The Editor: Hey Kids! Kenn Tam here. Just a quick note to let you all know that as of Issue #5 and on, FS Weekly News will be released on Thursdays, rather than Tuesdays. Do you have an article, artist, subject, comment or anything you think your fellow readers would like to see on FS Weekly News? Then send it along: kenn@fstoppers.com. And remember, if you ever feel like hitting that "unsubscribe" link, instead, drop me a line with your suggestions, comments or deepest most darkest desire and we will see what we can do. Enjoy the read. I went through this whole thing 3 times and was sure that you had forgotten to put in an easter egg. I resorted to searching the source code and I finally found it. This easter egg is by far the best. I was cracking up. Hello! Who do I write to claim my prize from last weeks easter egg??? send us an email through the Contact Us button on the top of the site. "Patrick Hall is HUGE in Japan!" Patrick's version of the Jonas Brothers: The Ho-Bros. It is all for the love of the game. "Yeah, I like to play with myself"
Brittany was singing ... "Oops I did it again" when she saw this photo. She called and wants her outfit back! "Patricia Harris and the f-Tones"
Rack up a point for Cara, I found it. Patrick, you look...beautiful?? ?